This article is all about improving your productivity in blogging. Personally, I get really very less time to work on my blog as I have got my studies and many other projects to work on too. So, the lack of enough time has compelled me to learn and master the art of productivity. In this article, I have listed some of the tools that I use regularly to work more in less time. You should not expect 10s or 20s of tools listed here, as using too many tools or applications don’t make you more productive. I have written in detail about my experience in using each and every single tool, so that it actually proves to be helpful to you. These are some of the most hand-picked tools that I use regularly to boost my blogging productivity. The one that comes first in my list is Evernote. It is the most effective application I have used till date which have helped me a lot to increase productivity in my blogging career. The official site of Evernote is enough to let you know what it does and what its features are. The best thing is that it is available in various platforms and I myself use it every day in all of my devices. I use it in my Desktop, Laptop, Android Tablet and iPhone. I use it to keep important notes about my blog and my articles. Whenever I get a new idea of any article, I write down the important points of it in Evernote. Wherever I am, I always have Evernote with me. It never lets me forget anything. 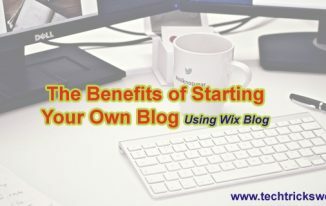 It is a very important application to use to improve your productivity in blogging. It is currently available in Andoird, iOS, Windows, and many other platforms. This is another very important tool that I use almost regularly. It is simply a to-do list which is available in almost all major platforms like Android and iOS apps, Google Chrome extensions, etc. The thing that I like the most about it is its simplicity. The most simple to-do list yet it doesn’t lack the most important features in it like Reminders, Notes, etc. Whenever I get a guest post from my author, I make a to-do note in this app and it never forgets to remind me in the right time to review, edit and schedule the article. Many a times, I travel in train or bus, and often remember to contact my client for some important proposal, so I create a simple to-do note in this app in my iPhone and when I am back in PC, the note is waiting for me to be completed. It is an extremely productive tool that you must use as a blogger. It is another simple tool, which is basically a Web app. It is available in the form of Google Chrome extensions and Firefox add ons. But what it does is really very helpful. It tracks whether your email recipient have actually opened your email or not. It sometimes proves to be really essential to know whether your recipient have opened your mail or is simply ignoring you. As a blogger you probably need to send a lot of emails in cases, like writing guest posts for various blogs, contacting advertisers, etc. For all these purposes you need to send a lot of email and it becomes an added advantage if you come to know if your recipient has opened your mail or not. You can understand if your recipient is actually ignoring you even after seeing your mails. This will help you to take right decisions in working with the right people. It is another very efficient tool from the makers of Evernote. It is available as a Google Chrome extension. It is also available in Android as Dolphin Browser extension. It’s actually a very small but a very useful tool I must say. 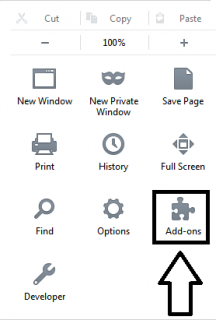 It can save or clip any webpage you want to and sync them in your Evernote account. You can also select a particular folder in your Evernote where you want the webpage to be synced. As a blogger, this tool helps me a lot. Whenever I find some really good quality article, I clip them in my Evernote’s “Resource Hub” folder and later, when I get free time, I go through the folder and read them thoroughly. These resources proves to be priceless while writing articles for my own blog or guest articles. If you are a serious blogger, then you probably have heard of the Pomodoro Technique. It is actually a very powerful technique to improve your writing productivity. The Internet is full of distractions, and there are huge chances for you to waste time on sites like Facebook and YouTube, if you do not follow this technique while writing. Strict Pomodoro is one of many tools which can be used to follow the Pomodoro Technique. But the best thing about this tool is that you can actually block any website you want to while you are writing. You can either blacklist any website or white list any particular website or block all others, so that you will not have any chances of opening any other website while you are writing. The only way to break the rule of this tool is to disable the plugin. If you use any other tool to increase your blogging productivity, so do not hesitate to share it with me and other readers in the comment section. +Aritra Roy, is an Professional Blogger and an Young Online Entrepreneur, who is also the co-founder of a blog daPazze.com. You can also check out his Android vs iOS comparison on daPazze. 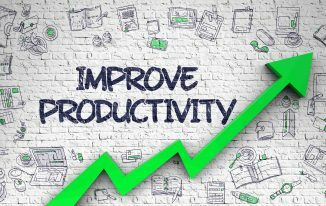 Thanks for sharing these information about tools to improve productivity. As bloggers, we all need to improve our productivity. I heard about the Evernote and the Strict Pomodoro but to be honest I never tried to use them myself but I heard other bloggers say that they had success using them. I want to try Evernote as I heard lots of positive feedback about it. Thanks Atish for the reminder and for sharing such a great list of tools. Neamat Tawadrous recently posted…5 Strategies On How To Effectively Advertise Your MLM Business? Yes, do give Evernote a try. And do not forget to try the other ones too. 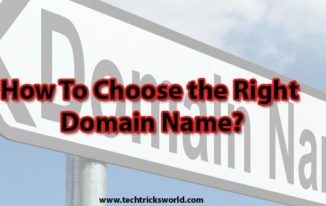 I have used all of them and have been greatly benefitted by all of them, that’s why I have shared them in this article. Glad you liked it. Thanks a lot. Aritra Roy recently posted…Top WordPress Security Tips you May Know, but Often Tend to Ignore! Thanks for sharing the needful tools for the bloggers. Am a newbie blogger n will check these tools to improve my blogging productivity. Yes, you are lucky enough to find it at the right time. Do check them all and use them. That’s very good Ravi. It’s never too late to give them a try. I loved that first on about Evernote. Downloaded and started syncing up right away. That last one though.. Strict Pomodoro? After looking into it I found it is just a Chrome extension and kinda limited. List your sites to block and start a 25 minute timer. Not much more than that. Another Chrome option is ‘Stay Focused’. It has lots more flexibility and options. You seem to have a very good research about these tools. Thanks for informing me these tools too, as they will prove to be helpful for me a lot. Btw, I know about Stay Focused. My main motive was not to just recommend Strict Pomodoro, but to introduce many new bloggers with the concept of Pomodoro Technique and to follow it strictly to write without any distraction. Aritra Roy recently posted…Why Facebook Marketing is Difficult for Bloggers and How to do it? First of all, I would like to thank you for introducing Evernote obviously which is helpful to everyone. Always when I want to do something in the future – I note down them but that was all unmanageable to me. So, I am happy for to use Evernote – Hoping it will help me in improving productivity. Thanks a lot James for all your appreciation James. Glad to know that you use Evernote already to improve productivity. Yes, Stella these tools have proved to be very effective for me too. Its time for you to give them all a try. Great post and very helpful information and tool for blogger As bloggers, we all need to improve our productivity. Thanks a lot for your appreciation Riddhi. Nice Gadgets for Blogs. These are super helpful when you are online and even offline. I have already been installed 2 out of your collection. Thanks for sharing with us. Thanks for the help bro i am in situation you are now i am unable to maintain my blog due to my studies this information and idea really did help me a lot..thanks again..
Great to hear that from you. Now you can manage well between your studies and your blog. Productivity is the key, buddy. 🙂 Happy blogging. I’m using a lot of these tools myself but never knew about Right Inbox. The information about how many of the sent emails are opened is truly crucial to shape up the future mail messages. Thanks for the share. Yes, Right Inbox helps me a lot to understand whether my mail have been opened by the recipient or not. I use it almost regularly. Hi Atish, first I want to say; good writing. And secondly I want to say; thank you a bunch for sharing you personal experience which i consider as the reason behind your blog’s growth with us. This information is priceless. Need more of this, will be checking back soon. Hi, First of all. Atish bro, is the owner of this blog and this post is a guest post. I have written this post. Thank you for appreciating my style of writing. I will write more articles for TechTricksWorld soon. You can also check out my own blog http://dapazze.com for more articles of this type. Atish, thank you for your wonderful post. I never heard of Evernote, but love this and can use it a lot. Many of these tools will be quite useful. Have bookmarked this page for future reference. Thanks again. Thanks a lot for your appreciation. Yes, if you are not using Evernote, then do not wait anymore. Start using it now. Thanks for this! Never heard of Right Inbox. I just installed it. Hope it works out good. Good info by you! Yes, surely it will work our good for you. The free plan has only 10 tracking available for a month. But you need to buy the premium plan to get more. nice list. i always use Evernote. never heard about Strict Pomodoro. 😀 anyway thanks for the wonderful share. Thanks a lot for your comment, bro. Thanks Atish. I guess Evernote can be a good tool. I’m not too good in managing things, and I’m always late. Lol. I’ll try to use Evernote and see what I can make of it. Thanks for sharing such amazing points.These points will truly help me to improve my blog post. thanks for sharing.. I like the way you write. I should read more of your blog posts. I hope I have not missed a lot.